In 5 minutes, you can prep this fine motor activity for infants and toddlers. 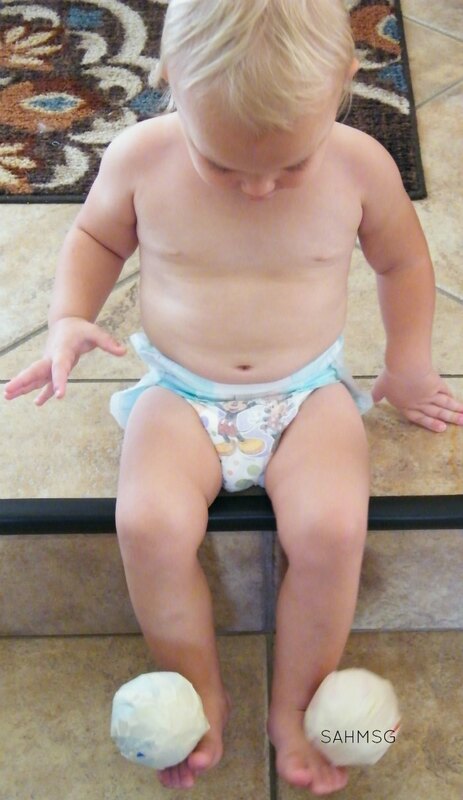 Around 6 months old, infants can grasp and handle toys and balls pretty well. They may even be rolling or lightly tossing a ball to you during playtime. 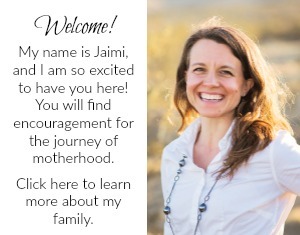 Infants develop so much over the course of their first year, but it is fun to see all the changes. This activity can be done with infants as young as 6 months old and is great fun for toddlers as well. 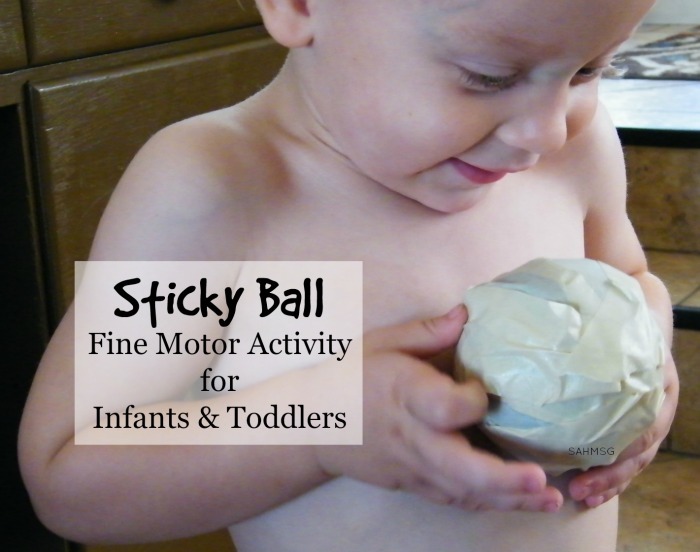 This fine motor activity for infants literally takes 5 minutes to set up. The first time I tried this activity for infants was in a daycare in the 6 month to 1 year old room. Infants are always so enthralled by this sticky ball. It engages a babies brain in some simple problem-solving that will be fun for you to see. 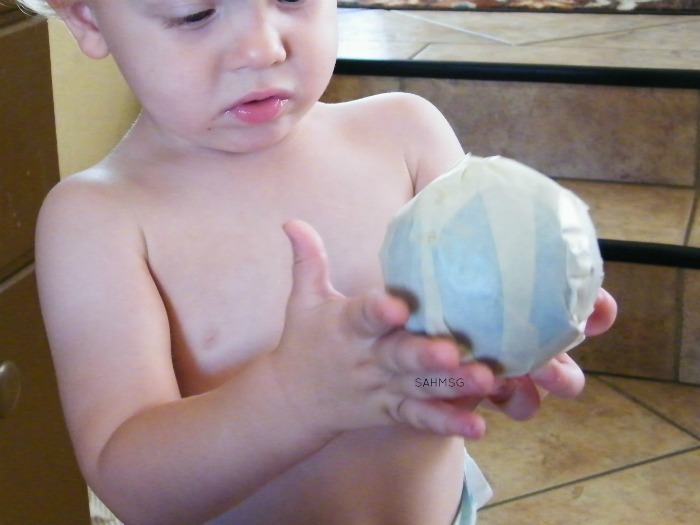 Wrap the masking tape, sticky-side out, around the ball in a few different directions to cover the entire ball with tape. A baby will be puzzled by how to get the ball off of their hand! I handed a ball to each of the twins, and one was more interested than the other. My twin boy was bothered by the tape a bit at first. He could not understand why the ball was sticky. It was a bit funny to watch as he tried to figure this activity out! I reassured him that it was ok and he could try to full the ball off of his hand. My twin girl had a good time passing the ball between her hands and pulling it off of her belly when I stuck it on her. Her big sister even stuck the sticky balls on her feet! This is a great way to talk about body parts and stick the ball on hands, feet and arms while naming each to increase vocabulary. 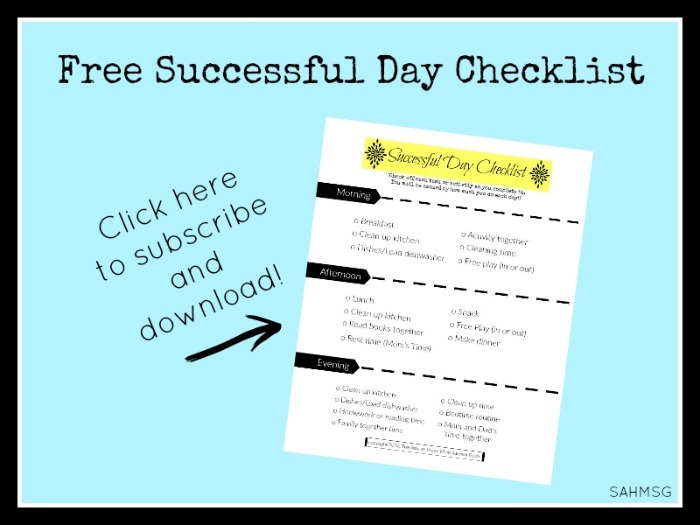 If you need a quick way to engage your baby today, this is a great one to try. You can use any balls that are ok for your infant or toddler. We used bounce house balls from Amazon. Baseball-sized balls work really well because baby can grasp them easily. To adapt to older kids, use the body part identification idea. Have your preschooler stick the ball on body parts as you name them. 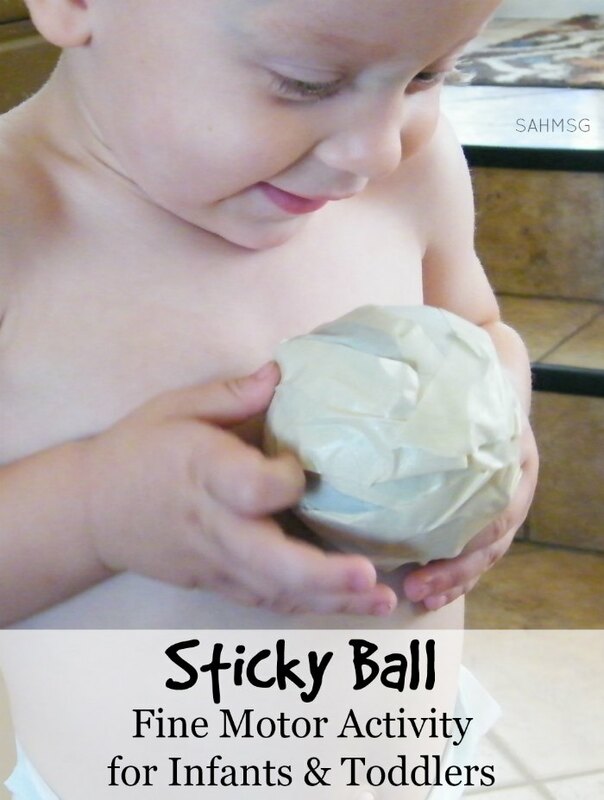 Have you tried the sticky ball fine motor activity for infants? How did your baby do with it? Jaime, I love the DIY book idea and the sticky ball, I’m going to use both of these this weekend for our “mommy and u for the wonderful ideas I cannot wait to try a” time, I’ve been searching during every work week for weekend fun with my 9 month old little boy, oand these activities are the best, and most simple ones I’ve seen yet using items I already have at home! Thank you for sharing your ideas , I cannot wait for him to get up from nap! I am so glad that they are going to work for you! I love simple ways to play with the kids. These activities were so fun for them. Thanks, Ali! 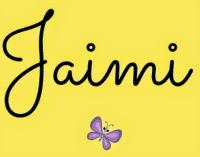 It was a fun and simple activity to create.